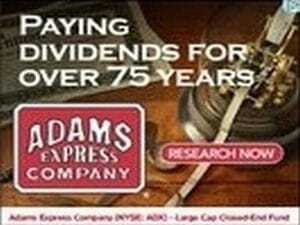 The Adams Express Company is one of the longest, continually operating equity funds dating back to the early 20th century. It is one of the largest closed-end investment funds. This was the stock that started Andrew Carnegie on his path to building his fortune. Our challenge was to take what was familiar and favored by many generations of investors and make it appear relevant and appropriate for 21st Century investors. Given Adam Express’ rich heritage, including paying a dividend for over 80 years, we positioned the fund as a foundational asset in a conservatively run portfolio. 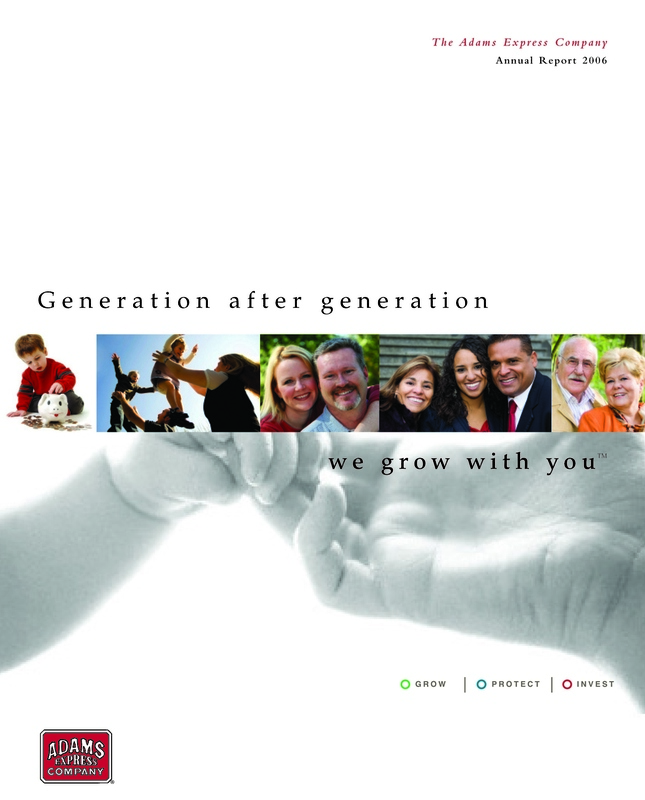 The re-branding centered on the new tag line, “Generation After Generation, We Grow with You.” This was a tip of the hat to the families who held Adams Express shares and handed them down from one generation to the next. This was a very important target audience. We learned from research that most shares were sold when the ownership of the fund was being transferred to a new owner. The tagline and subsequent communications also positioned the stock worthy of being included in the portfolios of new investors because of its longevity. At the time, there was great deal of upheaval in the market due to the volatility of the “dot com” shares. As part of the re-branding effort, we raised the stock’s profile through an aggressive media relations outreach effort that centered around its CEO’s insight. Aside from positioning him as a go-to for CNN and Bloomberg, he also spoke at several investor shows including The Money Show. 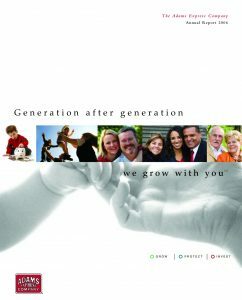 We also increased the fund’s communication to its existing shareholders by publishing quarterly newsletters that included news on the fund and fund philosophy, but stories from older shareholders on how they received their first shares. This section, titled Anniversary Archives, became so popular that we started to receive unsolicited stories. 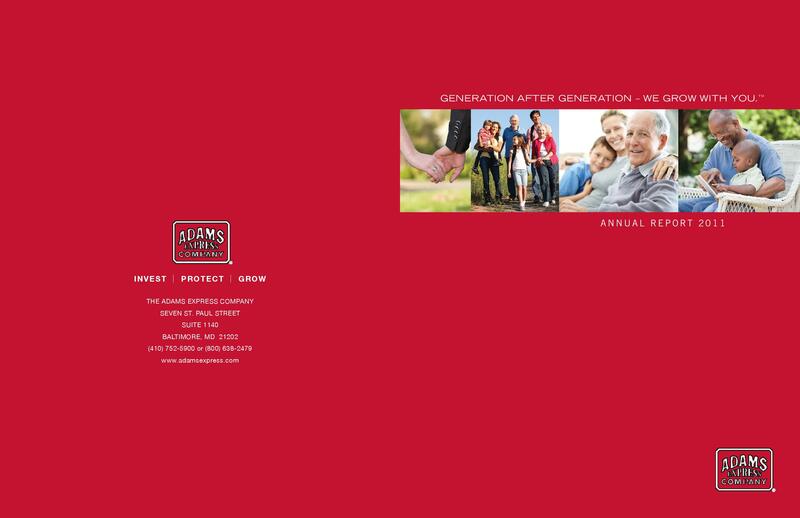 Since the campaign’s launch in 2006, The Adams Express Company stock rose steadily over 11% in the 5 years while we managed their communications.